Social media star Valerie Sagun is a powerful voice in the body positive movement. With more than 100,000 avid followers on Instagram and a constant stream of highly engaged traffic on her website, fans adore Valerie for her fearless acceptance of her beautiful body, her encouragement of self-love, and her phenomenal yoga skills. Valerie, her yoga practice, and her body positive campaign have been featured in People, Glamour, Marie Claire, Buzzfeed, Redbook, and more, where she's been celebrated for her exciting messages about self-acceptance-both on the mat and off. 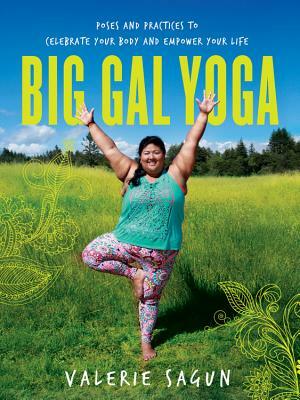 Now, in this complete guide, Valerie provides both inspiration and customized instructions for yogis of all sizes and shapes, along with passionate encouragement to help readers discover newfound confidence through the transformative power of yoga. VALERIE SAGUN is the yogi behind the popular Instagram account @BigGalYoga, where she posts photos of her yoga practice along with a fierce body-positive message. She lives in San Jose, California.